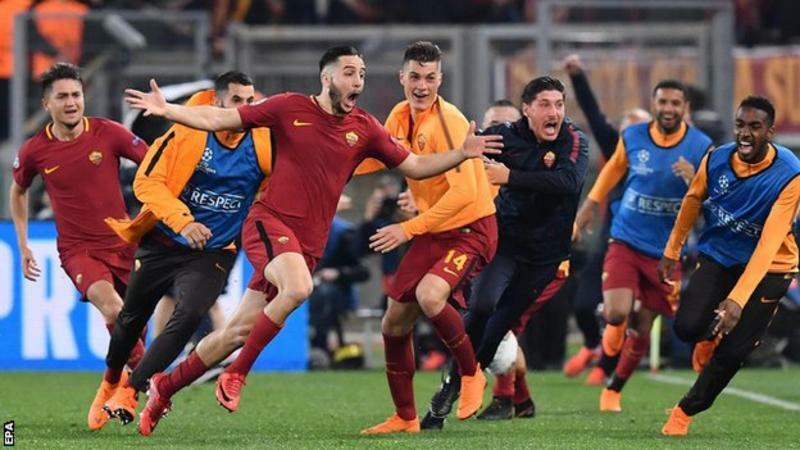 Roma pulled off a sensational second-leg comeback to beat Barcelona 3-0 and reach the Champions League semi-finals on away goals. Barca were heavy favourites to progress after a 4-1 first-leg win, but fell apart to Roma's brilliant showing. Defender Kostas Manolas scored the crucial third goal, heading in at the near post with eight minutes remaining. Edin Dzeko struck early to give Roma hope and Daniele de Rossi added a second-half penalty. 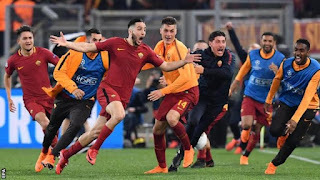 The crowd at the Stadio Olimpico erupted at the final whistle as the Roma substitutes and coaching staff piled on to the pitch to celebrate with the players. There were tears in the stands from those watching, not quite believing what they had witnessed.